The year 2018 has been special in the footballing world, there were some special moments of magic which took our breath away. Here are the top five performers of the year. 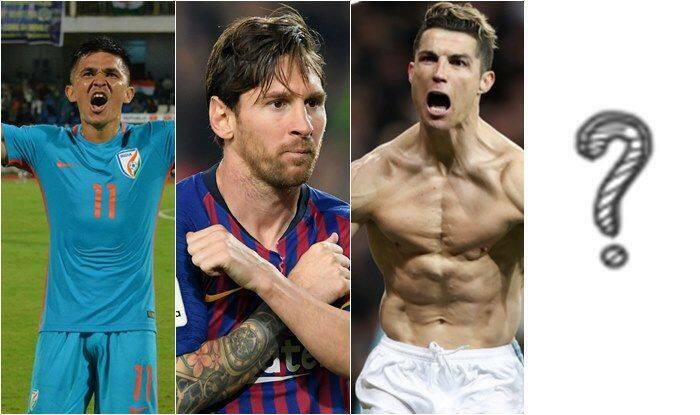 The year 2018 has been special in the footballing world, there were some special moments of magic which took our breath away. It was also the year of the 21st edition of the FIFA World Cup, which took place in Russia, where Germans were dethroned by the French as the world champions. In 2018, we also witnessed something most fans never imagined- Cristiano Ronaldo left Real Madrid at the age of 33 in a 100 million euros deal to join Italian club Juventus. In India, the talismanic Sunil Chhetri achieved an incredible feat as he joined Argentine legend Lionel Messi as the second highest international goalscorer among the active footballers with 64 goals. Luka Modric defied the odds as he won the Ballon’Dor, breaking the decade-long winning streak by Messi and Ronaldo. And then there moments of just pure genius, of teamwork and dedication that ensued in the form of art. Cristiano Ronaldo: The Portuguese footballer had a great season for Real Madrid, playing a vital role in delivering yet another Champions League title. He scored a brace including an absolute stunner against Juventus in the Champions League semifinals 2018. Later in the summer, he did the unthinkable by joining Juventus for a transfer fee of 100 million euros, becoming the only footballer to receive a 100 million price tag at the age of 33. He is now on track to win a third big league title after the Premier League with Manchester United and La Liga with Real Madrid. Lionel Messi: Despite the fact that the Argentine had an ‘average season’ by his standards, he still makes it to the list because of his tally of an incredible 45q goals in all competitions. In a real sense, by no way is that number an ‘average’ performance. Messi has been one of the most consistent footballers scoring more than 40 goals in all competitions for a decade now. Last season, he played a crucial role in leading his team to the La Liga title, scoring 34 goals in 36 apps. This season he already has 21 goals in 20 games. Mohammed Salah: Nicknamed ‘The Egyptian King’, Mo Salah displayed one of the performances in the football world, which drew comparisons with the likes of Messi and Ronaldo. Salah scored more than 40 goals and famously led his Liverpool side to the Champions League finals. He won the Premier League player of the year, the Golden boot, The Puskas Award amongst other accolades in 2018. Kylian Mbappe: The teen sensation took the world cup by storm with his stellar performances. His playing style and incredible goalscoring abilities drew comparisons with the Brazilian legendary footballer, Pele. Frenchmen Mbappe scored a brace in the world cup finals against Croatia, playing a vital role throughout the tournament in leading his team to become the world champions at the age of just 19. He also won the ‘FIFA Youngest Player of the Tournament’. Sunil Chhetri: We know as readers you will seek justification as to how Chhetri made the list ahead of Ballon’Dor winner Luka Modric. Here’s why – The Indian skipper carried the hopes of a billion and famously led the Indian team to the top 100 FIFA ranking. Chhetri has played a crucial role in revolutionising Indian football and he continues to do so. The Indian football team won the Intercontinental cup under his leadership and qualified for the AFC Asian Cup in 2019. Another incredible achievement by Sunil Chhetri this year was he equalled the tally of the Argentine legend Lionel Messi as the second highest international goalscorer among the active footballers with 64 goals. Chhetri’s famous video on Twitter urging fans to visit the stadium and support the Indian football team was the most retweeted video on 2018 in India and in a nation which is dominated by cricket, the Indian football captain has done a marvellous job.